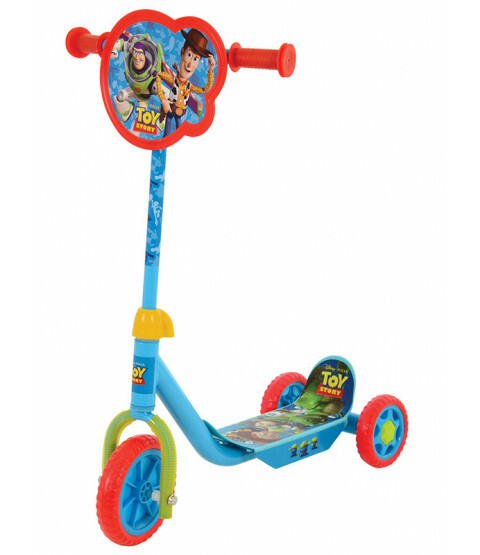 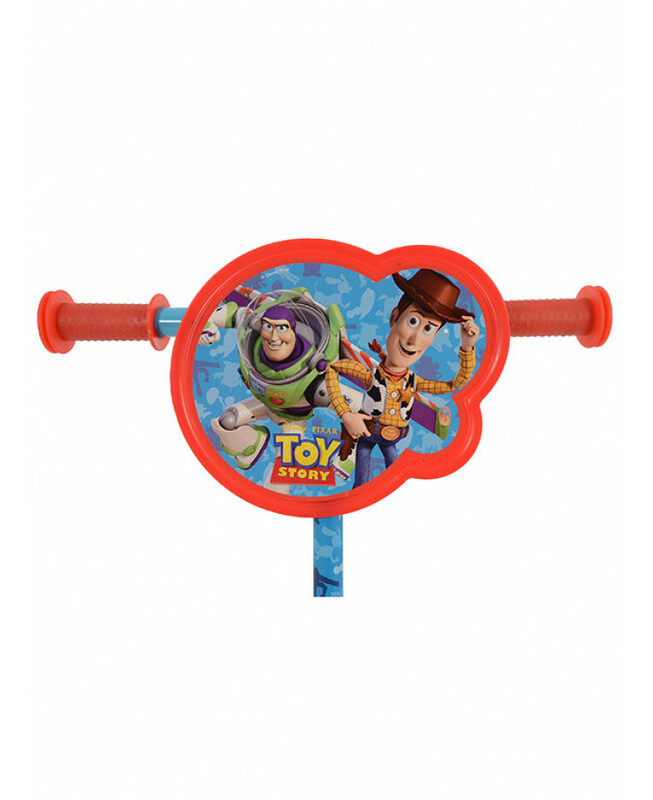 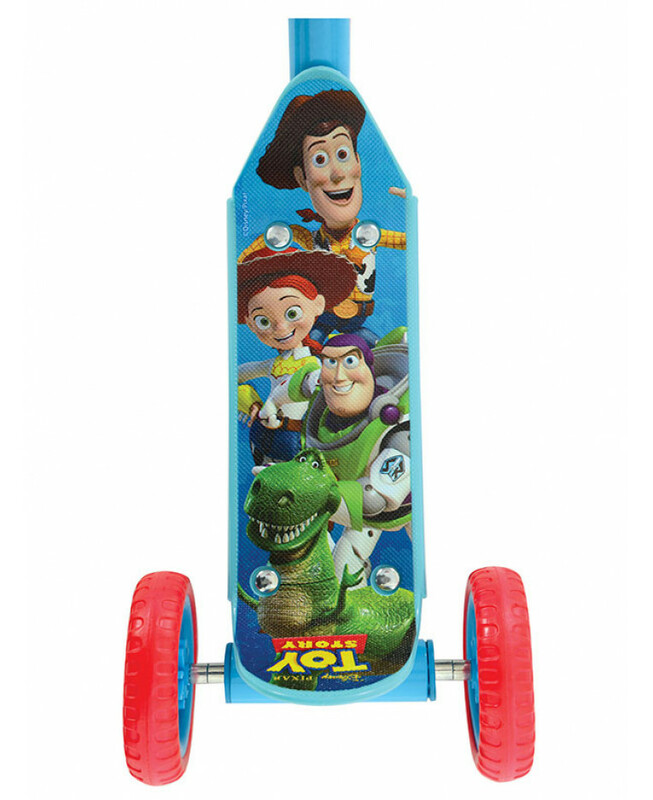 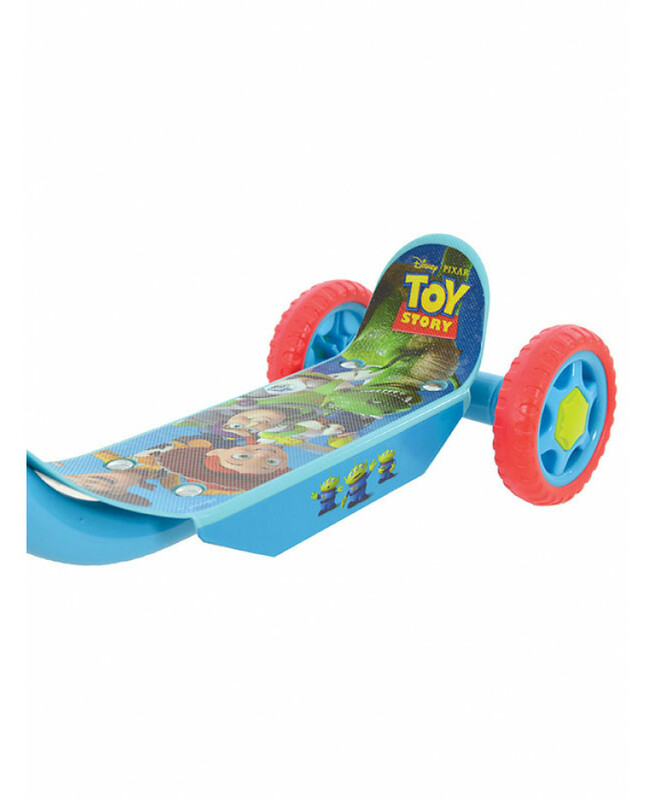 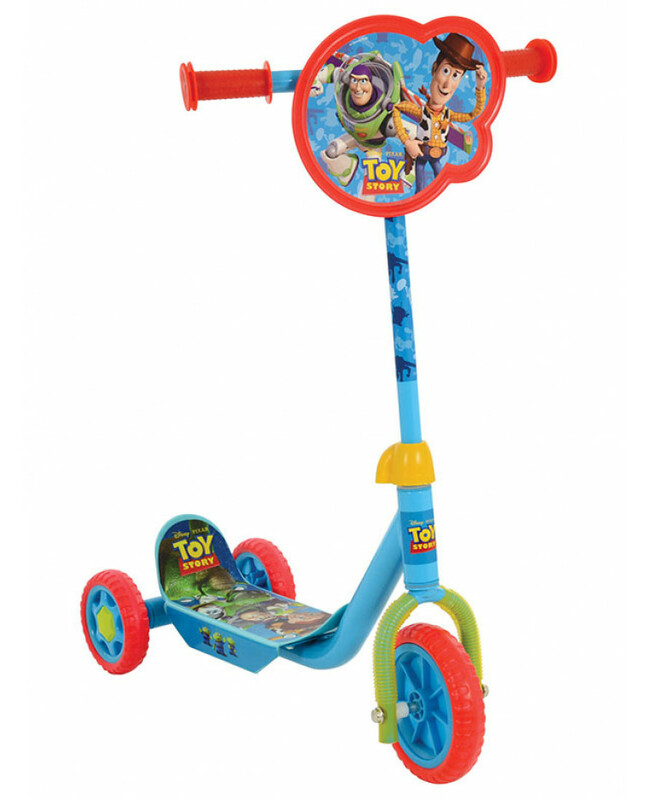 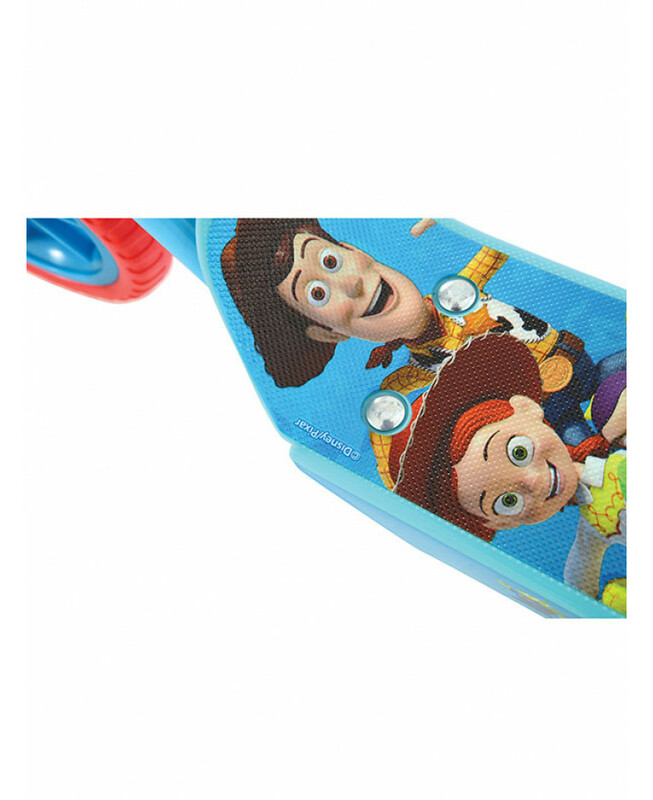 This Toy Story Tri Scooter is the ideal first scooter and features colourful Toy Story themed graphics on the footplate, stem wrap and front plaque. 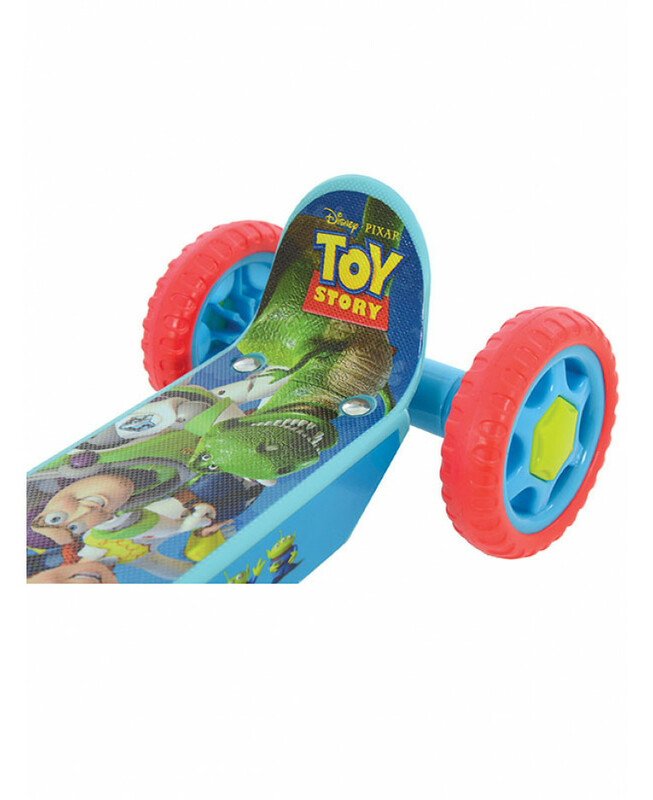 Its extra wide anti-slip footplate and three wheels provide stability, whilst the soft grip handles aid easy scooting and steering. 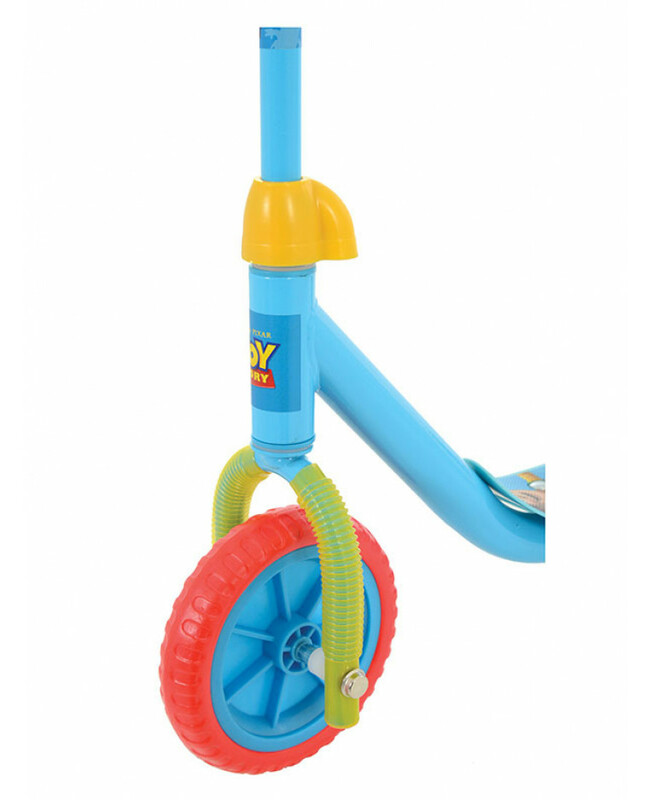 The handle bar is fully adjustable so the scooter can grow with your child and the wheels are anti-puncture to ensure durability.